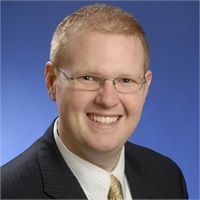 David began his professional career in 2005 after graduating from Roberts Wesleyan College with a degree in accounting and information management. Three years in public accounting opened the door for him to transition to financial planning in 2008. After working closely with his father for five years he was brought into Capital Business Advisory Group in 2013 to assist in servicing clients and keep continuity of planning. Comprehensive planning focused on client objectives is what drives the success of Capital Business Advisory Group. Since 1987, Capital Business has been focused on business succession, financial planning, wealth management, retirement strategies and asset protection. Working with business owners, executives and families, the Capital Business team has a client-centered approach that helps identify objectives and take action to resolve issues. David worked closely with Jim Noonan, CLU, founder of Capital Business and 40-year industry veteran, for five years before completing the transition and taking over as president in January 2018. David lives in Batavia with his wife and two boys, is very active in his local church, and enjoys the occasional round of golf when time allows.